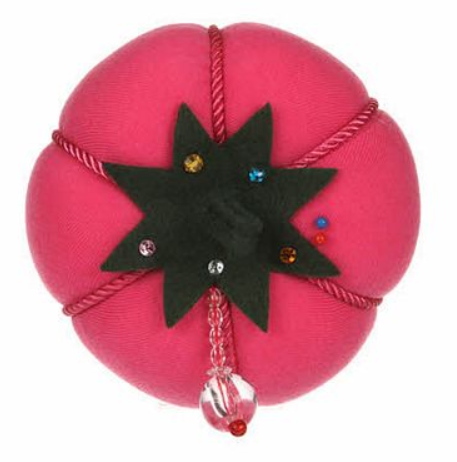 Large pincushion in a fun and sassy color! Tomato shaped with rhinestone enhanced stem and clear beaded charm. 5" diameter x 3" tall.